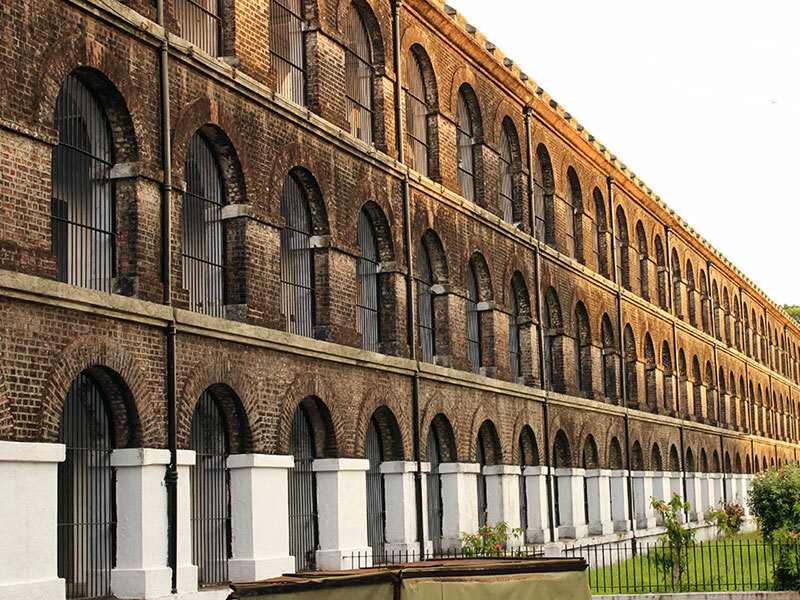 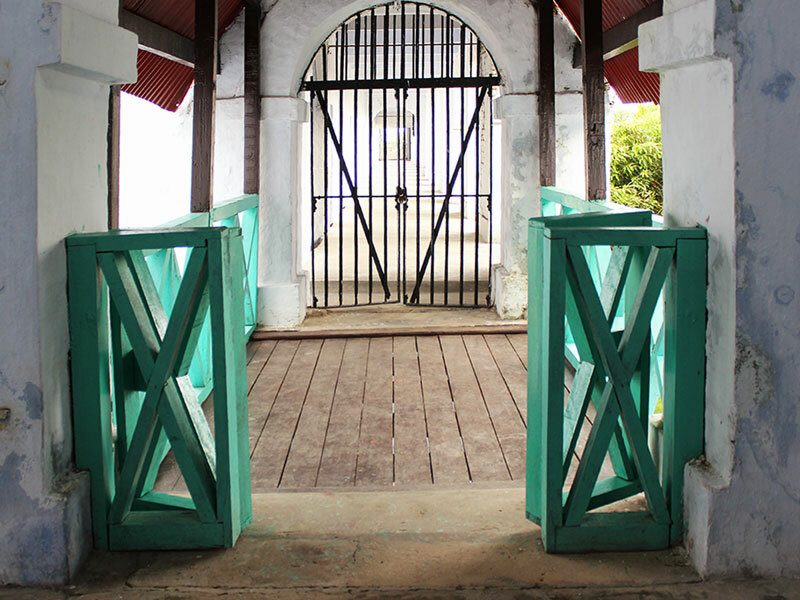 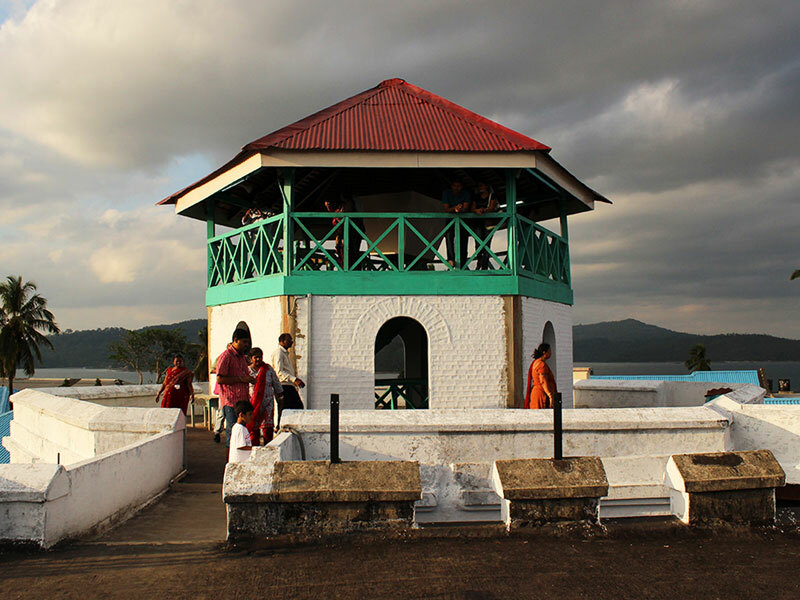 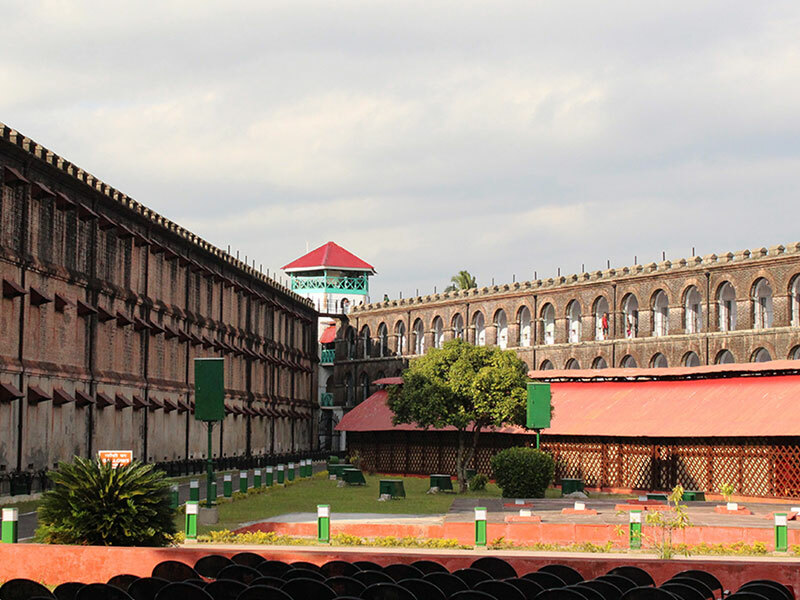 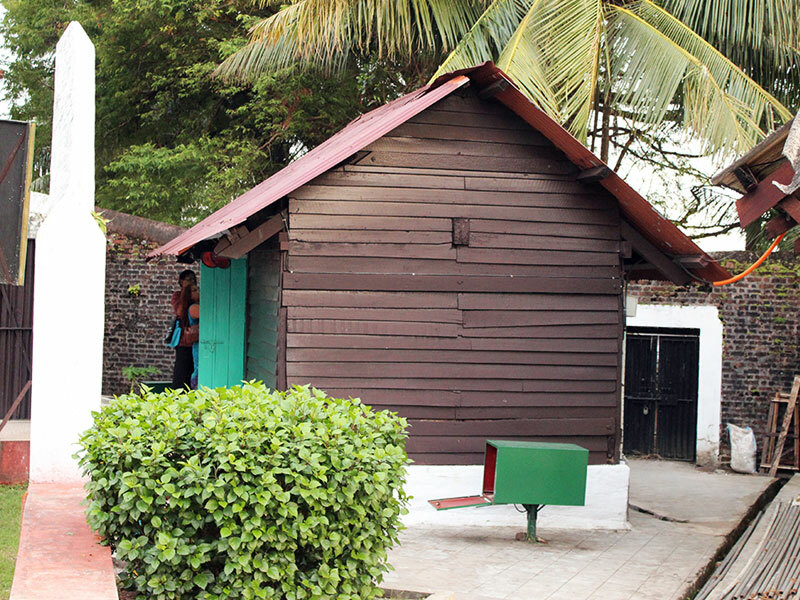 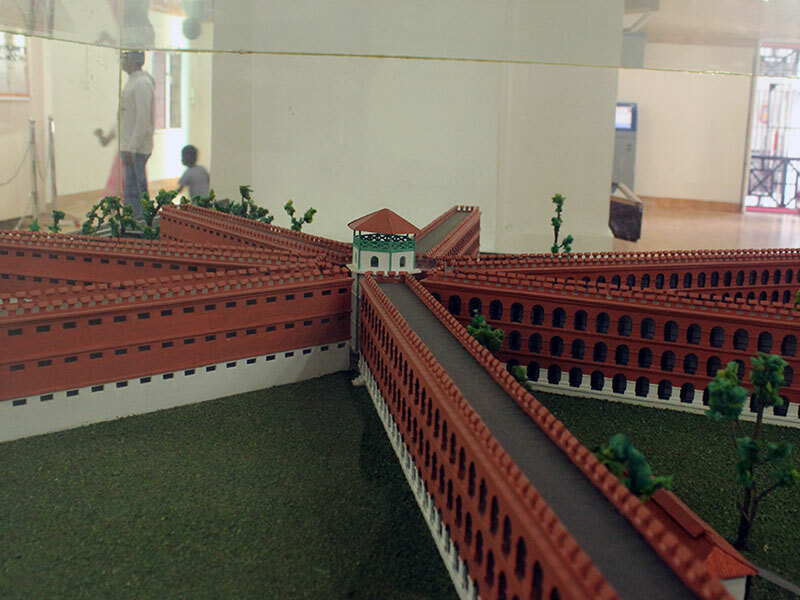 Cellular jail, also known as Kala paani, is situated in Port Blair, Andaman Island. 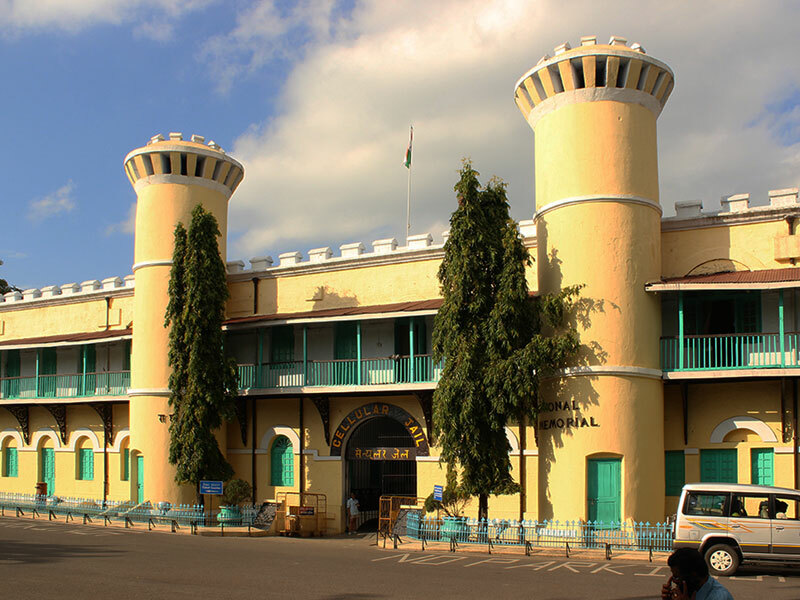 Construction of the jail was started in 1896 and completed in 1906. 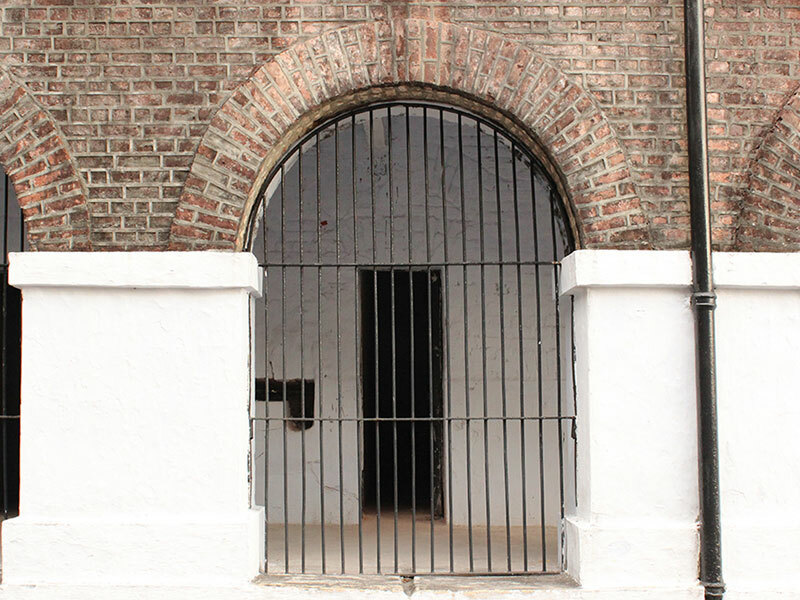 Jail consists of seven buildings of three stories, which were connected to a central tower in form of a star or spokes of wheel. 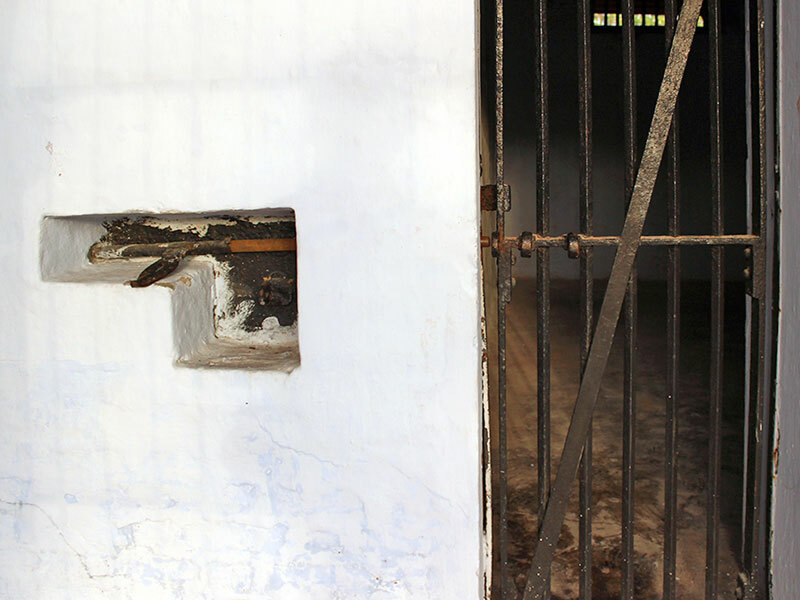 It had total number of 696 cells and each imprisoned only one prisoner. 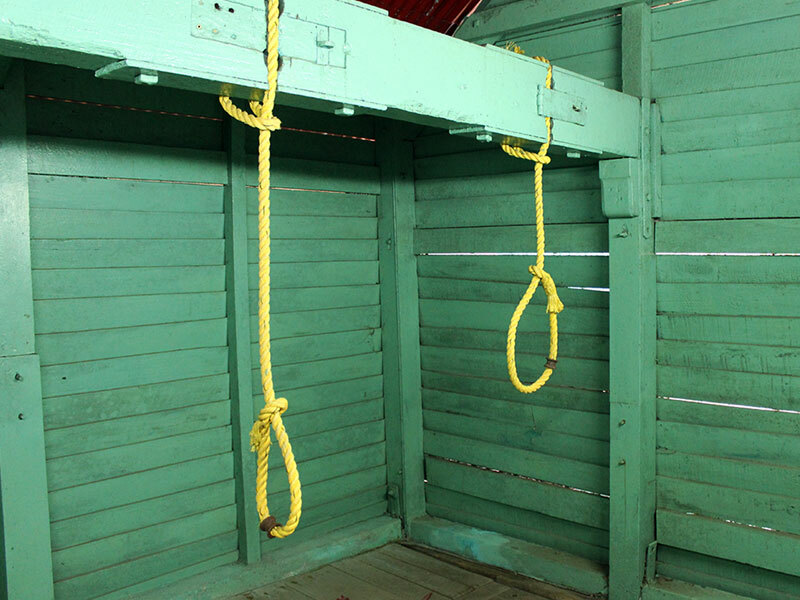 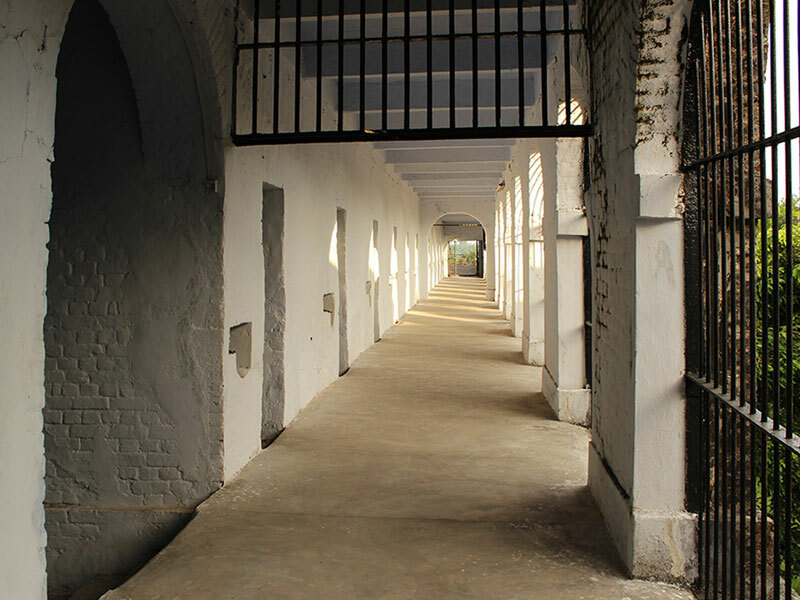 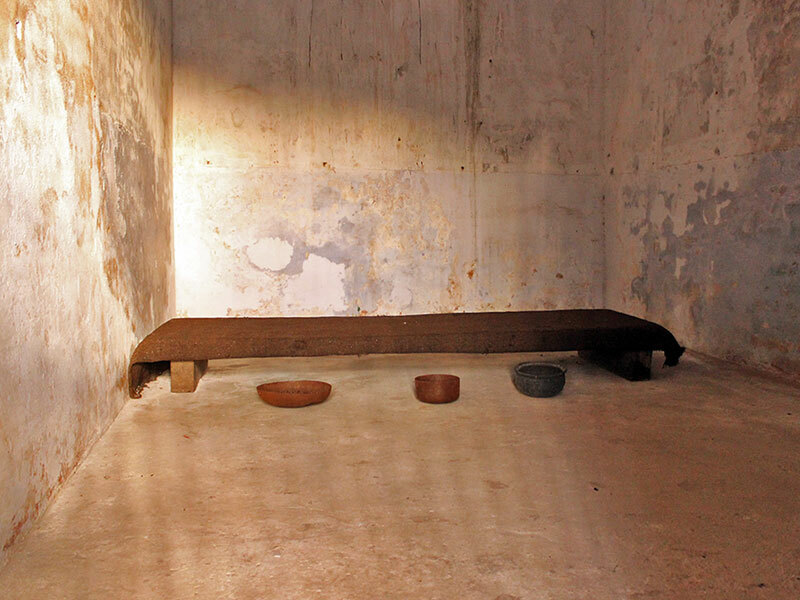 The jail was designed to minimize communication within the prisoners.